Is Your Small Firm Another Cost-Effective Alternative to Large Law Firms? As a full-service legal marketing agency in the United States, our professionals regularly receive calls from small to mid-sized law firms that want to “differentiate themselves” from the large law firms and mega firms with whom they compete. 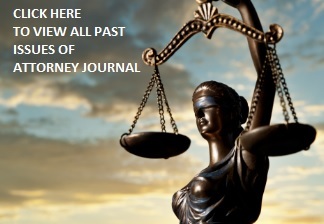 Frequently, these law firms are situated just outside major metropolitan areas and have several lawyers who have “big firm experience.” And it is often the lawyers and/or administrators who are overseeing the firm’s marketing efforts because small to mid-sized law firms, especially suburban firms, rarely hire in-house marketers. Does this sound like you or your law firm? If so, read on. How do you want your law firm to be perceived? What exactly do you want your audience to think about your firm? We are a cost-effective alternative to large law firms. We have lawyers with big law firm experience at small law firm rates. Our lawyers are responsive to our clients’ needs. We have access to attorneys who can handle all of a client’s needs. Our attorneys can walk down the hall to get problems solved outside of the initial reason for the engagement. Collectively, our attorneys have more than 100 years of legal experience (or something along those lines). Do you think any of these statements, even if true, actually differentiate the small or mid-sized law firm, especially if they are all saying the same thing? Recently, I conducted an online search with the phrase: “cost-effective alternative to large law firm.” I found several thousand law firm websites that use this exact language. What Defines Law Firm Differentiation? What are the benefits to me working with you? What are the benefits to me working with your law firm? At the end of the day, you need to answer the age-old WIIFM question, “What’s in it for me?” How are you going to answer? Talk about your fee structures when possible. Let the prospect know if you offer alternative fee arrangements or lower contingency fees. If you are unfamiliar with alternative fee structures, it is time to get on board. The industry is moving in this direction. Fixed fees for matters—with or without caps. Milestone formulas—fixed fees for completion of stages of a matter. Decreasing rate scale for volume work. Nothing can be more telling than the results delivered for clients. That is likely also the impetus behind most states’ rules of professional conduct that regulate, restrict or altogether reject the use of testimonials in legal advertising. Sharing information about precedent-setting cases. Repurposing and/or sharing positive media coverage you or your lawyers have received regarding legal matters. Accepting social media endorsements and recommendations. TREAD WITH CAUTION: Before sharing testimonials, recommendations, endorsements or any other form of accolades given to you or your lawyers, you MUST review your state’s ethics rules. If you practice law in, market in, or are admitted pro hac vice in more than one state, be sure to follow the most restrictive state’s rules. Include a disclaimer in your marketing materials to convey that no two cases are alike and that these results do not imply or guarantee similar results in a different matter. Would you hire just any doctor to deal with chronic lung disease or would you go to a pulmonologist? When you research who to see, you’d look for someone with experience dealing with your specific condition. Why do lawyers think buyers of legal services are any different? Include a list of industries served on your website (if you provide services that are relevant to industries). Include a list of corporate clients on your website. Share the types of problems you have solved for your clients along with the types of matters you handle. Be specific without violating any attorney-client confidentiality. Pharmaceutical companies seeking FDA approval for new drugs turn to our compliance lawyers for counsel. Our attorneys work with executives and entrepreneurs in established and start-up companies to assist with employment matters, industry compliance, tax planning and corporate growth. High-net-worth individuals turn to our estate planning and family lawyers to protect their investments, estates and progeny. Whenever possible, demonstrate that you, at the very least, have experience in a niche area of the law rather than communicating a laundry list of 15-plus distinct practice areas including insurance defense and personal injury when you are a small firm. The response we usually get from general practice lawyers to this counsel is, “We don’t want to lose an opportunity and we have one attorney who handles PI work.” What that law firm is not aware of is the lost opportunity cost for all of the insurance companies that may have hired them but for the fact that they handle personal injury work. Nine times out of ten, no one is going to call you and tell you why they didn’t consider your firm for legal work. For small and mid-sized law firms seeking business clients or those handling practice areas that allow for proactive planning, provide added value. For example, if your firm represents business clients in various matters and handles intellectual property issues, let relevant clients know when they should be looking to protect their IP (without being billed for it). Demonstrate that you really care about your clients; you’re not just about the billable hour. Invite clients to seminars and CLEs that might be relevant to them. Introduce clients to prospective customers, business referral sources, etc. With permission and when a confidentiality agreement or gag order does not dictate, include your clients in media coverage or by sharing case studies. Visit with your clients, on your own time and dime, regularly to check in. The bottom line is that differentiation means just that. Provide information of value to those seeking legal services. And don’t forget that this advice is not just meant for your website and printed bios. Include this same type of information in you your LinkedIn profile and in any other materials where you can communicate benefits to your target audience. You are on LinkedIn, right? Gina F. Rubel, Esq. is the owner of Furia Rubel Communications, Inc., an integrated marketing and public relations agency with a niche in legal marketing. Gina and her agency provide strategic and measurable marketing counsel and services to help their clients meet their marketing and business goals. She and the agency have won national awards for law firm marketing, public relations, website and graphic design, corporate philanthropy and leadership. Gina maintains a blog at www.ThePRLawyer.com, is a contributor to The Legal Intelligencer Blog, AVVO Lawyernomics and The Huffington Post. You can find her on LinkedIn at www.linkedin.com/in/ginafuriarubel or follow her on Twitter at www.twitter.com/ginarubel. For more information, go to www.FuriaRubel.com, call 215.340.0480 or email gina@furiarubel.com. About the Author: Gina F. Rubel, Esq. is the owner of Furia Rubel Communications, Inc., an integrated marketing and public relations agency with a niche in legal marketing. Gina and her agency provide strategic and measurable marketing counsel and services to help their clients meet their marketing and business goals. She and the agency have won national awards for law firm marketing, public relations, website and graphic design, corporate philanthropy and leadership. Gina maintains a blog at www.ThePRLawyer.com, is a contributor to The Legal Intelligencer Blog, AVVO Lawyernomics and The Huffington Post. You can find her on LinkedIn at www.linkedin.com/in/ginafuriarubel or follow her on Twitter at www.twitter.com/ginarubel. For more information, go to www.FuriaRubel.com, call 215.340.0480 or email gina@furiarubel.com.